Keeping to the limits: It's summer and . . . 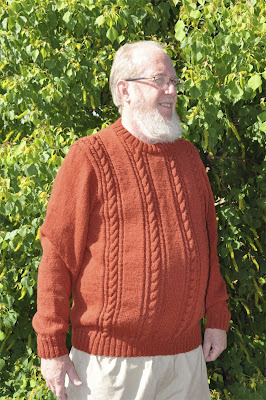 I've just finished this jumper for John. He was reluctant to pose in it - the current temperature is 26C - and is wearing shorts with it. However, I'm sure he'll appreciate it when the mercury plummets below zero. I started making the jumper mid-winter but I'm either slow at knitting or don't watch enough television - I only knit while watching television. I don't do a lot of knitting and I don't see it as a particularly creative activity but I really missed it when I couldn't do it for a few years. I think, for me, knitting is chewing gum for the hands. 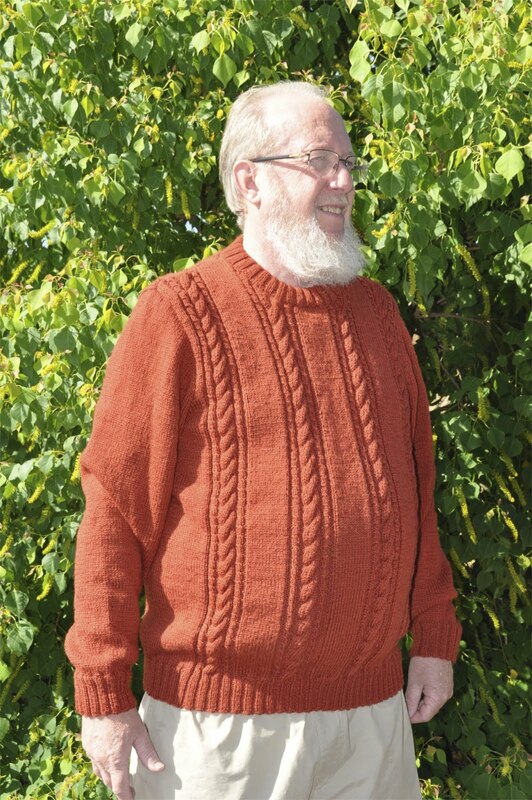 Lovely jumper and so very brave of John to model it in the summer.